Messi scored twice and set up Ousmane Dembele for the other as the hosts won 3-0 and progressed to the quarter-finals 4-1 on aggregate. Chelsea, however, were unlucky after they were again denied by the woodwork. “We conceded a goal, our start was terrible. We hit the post four times, this is very strange. 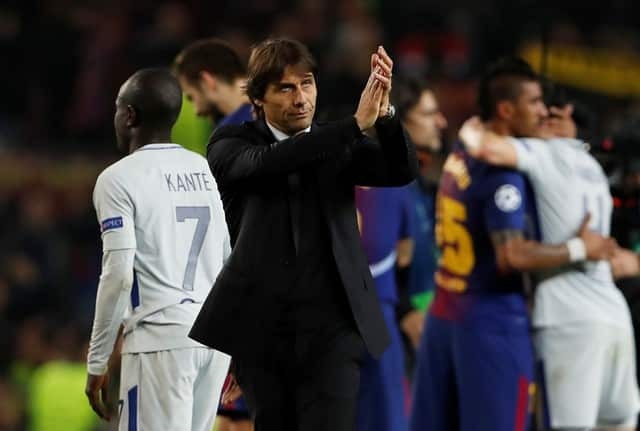 Chelsea were the better team in the 1-1 first leg draw but in Catalonia they were dismantled by Messi, who twice fired through the legs of goalkeeper Thibaut Courtois to take him to 100 Champions League goals. Chelsea’s Belgian goalkeeper admitted he made mistakes but said he must take that on the chin. “For the first goal I didn’t expect Lionel Messi to shoot from that angle and I was too late in closing my legs. It was a mistake on my part,” said Courtois.